Dr. Arielle Baskin-Sommers is a licensed clinical psychologist and Assistant Professor of Psychology at Yale. She received her Sc.B. from Brown University (2007), a Ph.D. from the University of Wisconsin-Madison (2013), and completed her pre-doctoral internship and fellowship at McLean Hospital/Harvard Medical School. 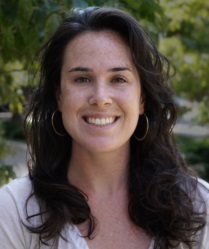 Her work focuses on identifying and specifying the cognitive, emotional, and environmental mechanisms that contribute to disinhibited and antisocial behavior. She examines these mechanisms in a wide-variety of individuals, including those who suffer from substance use disorders, psychopathy, antisocial personality disorder, and those who chronically engage in risky behavior. A guiding principle of her research is that though disinhibited and antisocial behavior (e.g., impulsivity, crime, substance use) may look similar, the mechanisms underlying those behaviors can be different in different individuals. She uses that principle and multiple methods (e.g., electrophysiology, neuroimaging, behavior, self-report) to develop novel experimental tasks, assessments, and intervention strategies that consider these differences across individuals. Her research has powerful implications for justice system involved individuals as current assessments and interventions take a more or less one size fits all approach. Instead, Dr. Baskin-Sommers’ research shows the importance of distinguishing and targeting the underlying mechanisms that are associated with specific forms of psychopathology and behavior. Dr. Baskin-Sommers engages in this endeavor in hopes of improving both the lives of individuals as well as the health and safety of communities. I believe that one of my greatest assets is my ability to think critically, taking into account a variety of perspectives, and being able to do this on the fly. It has been useful not only in my own problem-solving but I have been able to use it to help others, whether friends, mentors, students, or people who I used to see in my clinical practice. I think I probably always had this skill and was reminded of it when my parents took me on a college tour and we visited my preschool near Amherst, MA. As we walked through the door, the teacher recognized me and said, “oh my, it is the manager.” She did not remember my name, 15 years later, but she did recall my personality. I guess that I was always a take charge type of person. Perseverance. I have always pushed through adversity and challenges, whether on the basketball court, the classroom, or in difficult social situations. I work towards being proactive and I avoid getting paralyzed by a setback. Setbacks, challenges, all of those types of things are ephemeral if you move forward and apply the knowledge that you gained from them to future situations. I have several aspirations: to translate basic science findings into real world strategies that alleviate the suffering of others; to get young people excited about a career in science that also serves the public interest; and, personally, to continue to travel and get to know people from all walks of life. I would have to say that getting a great job at Yale before the age of 30 is a notable accomplishment. This was my first venture into the academic job market, or any job market for that matter. And, I am now in a wonderful department with fabulous colleagues. As an urbanite, I found going to graduate school in a small town in the Midwest to be daunting, initially. I remember when my friend came to visit and asked where the financial center was as this town is the capital of the state. I turned to the ATM and pointed to it saying: there it is. But, being so isolated from the distractions of life-long friends, museums, shopping, and other big city activities made me appreciate the social relationships that I developed there (and continue to cherish), gave me time to be professionally productive, and exposed me to a way of life that I had not experienced, before. Everything in moderation. This includes French fries, trash tv, and great gelato. I don’t want to name names but I will say that I have a number of colleagues who combine brilliance, a sarcastic wit, and a love of shopping. I also cherish my parents because they taught me that you can be intellectually talented yet down to earth, love people of diverse backgrounds, appreciate a wide range of cultures, and watch trash tv. I think that I mentioned trash TV before in this interview. Hmmm…. Buenos Aires---amazing culture, walkable neighborhoods, and the best scones ever at the Alvear Palace. Machu Pichu---breathtaking, especially at dawn. India---the people, the food, the sights are all amazing. Namibia---a young nation filled with vibrancy, optimism, and surreal scenery. Noise cancelling headphones; faux fur couch throw; my Mulberry handbag—stylish yet practical. I am passionate about advocating for those who are vulnerable and whose voices are unheard and using science to help alleviate the unnecessary suffering of those who are justice-system involved. Unfortunately, the justice-system in the United States has not yet incorporated newer scientific evidence into their practices. For instance, we know that solitary confinement is not only harmful for the inmate, both in the short run and in the long term, but that it also threatens the security of other inmates and correctional personnel. We know that one size fits all treatment do little to rehabilitate our most serious and chronic offenders, yet the justice system is slow to incorporate more effective strategies. The current justice climate is such that it fails to serve the needs of society at large, victims, and offenders.